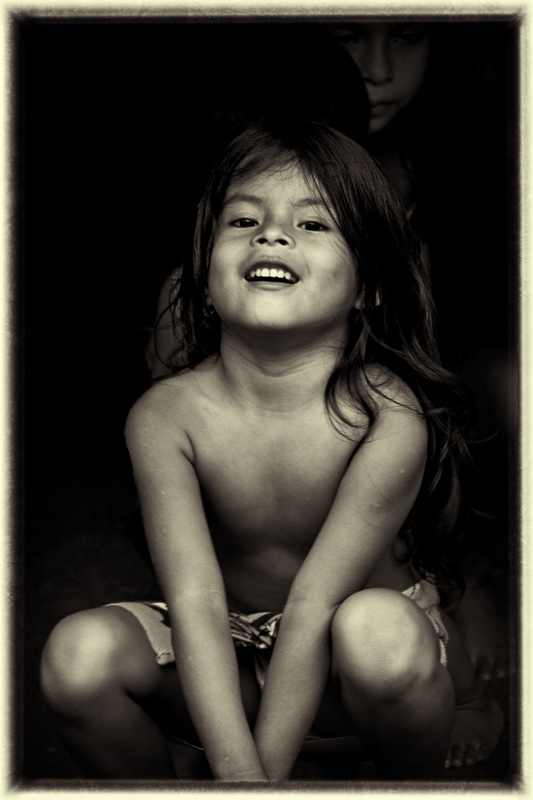 The Embara people are indigenous to Panamá Many live in the Province of Darien, near the border with Colombia. There are other villages in the jungles of Rio Chagres, closer to Gatún Lake and accessible from the lake. The Embara adhere to traditional ways but in the lake villages depend in part on tourism for their subsistence. They dress in traditional clothing while in their village, and live in traditional huts. I found this girl playing with her friends. She played to my camera when she saw me. 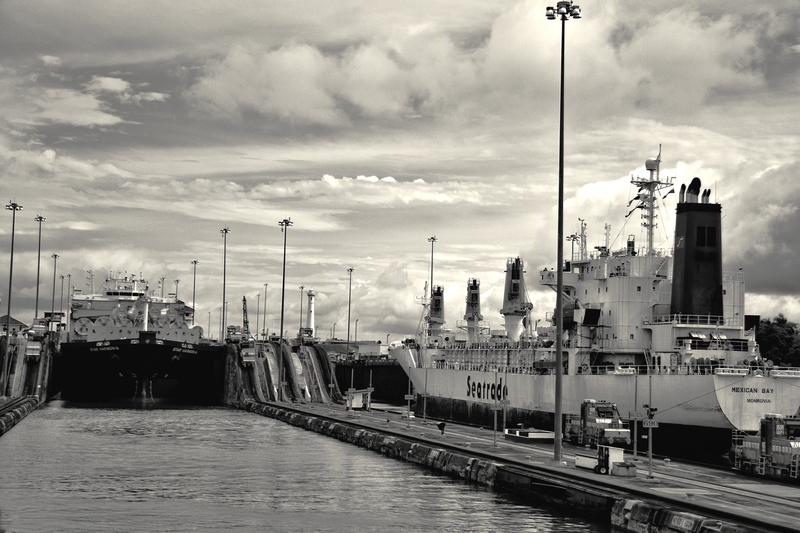 The Panamá Canal has been on my bucket list for a long time. 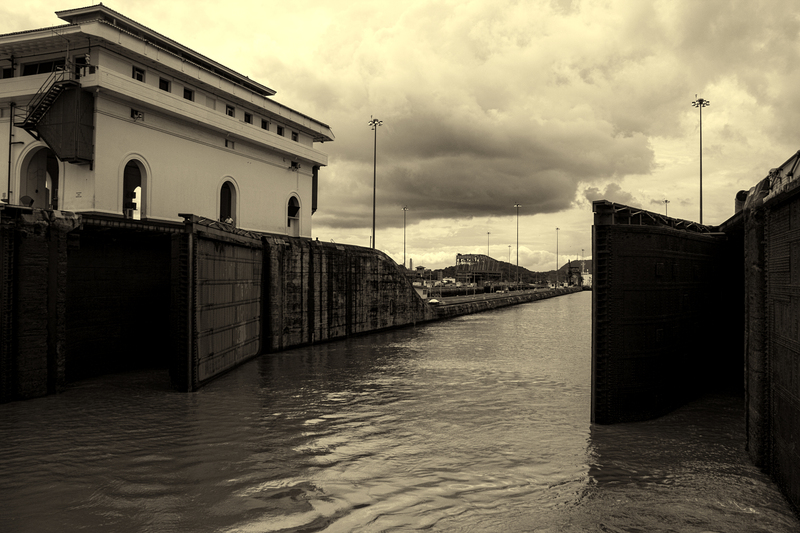 This summer my sweetie and I got to transit the Canal from Panamá City to Colón. The transit took about 10 hours and the bus ride back to Panamá City about 2 hours. The Canal was built between 1903 and 1914. 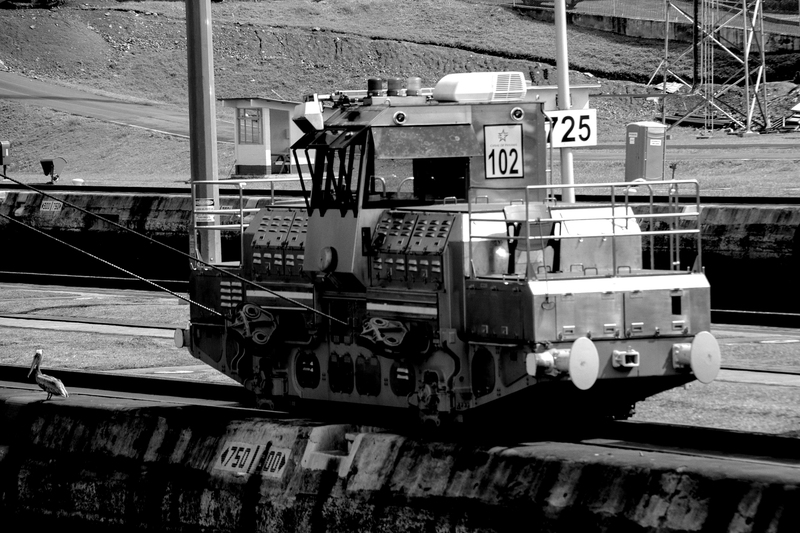 It is a marvel of engineering today, and must have been one of the manmade wonders of the world when it was built. 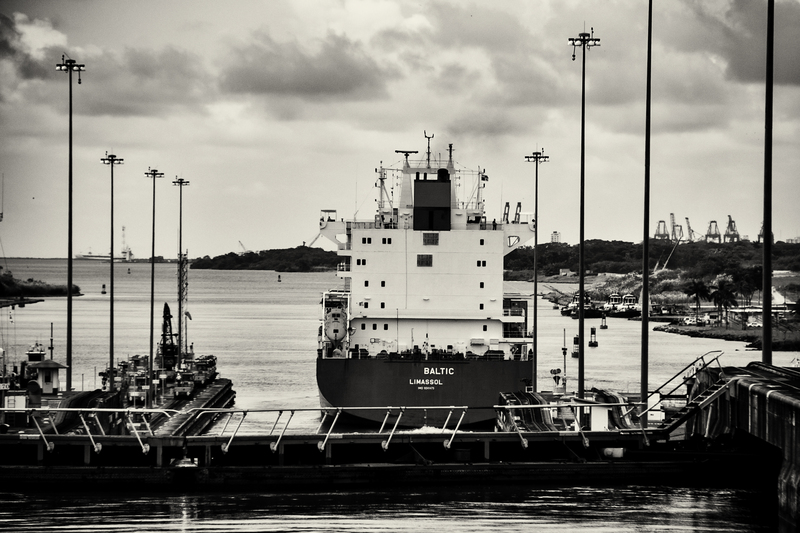 The lock walls are 55 feet thick concrete. 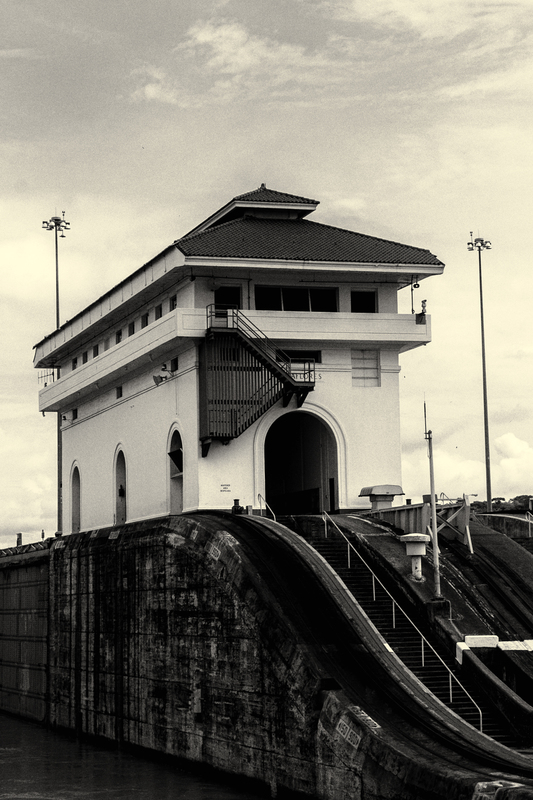 The lock gates are original and have never been replaced. The locks raise ships to 85 feet above sea level so they can cross the Isthmus then lower them to sea level at the end of the trip. 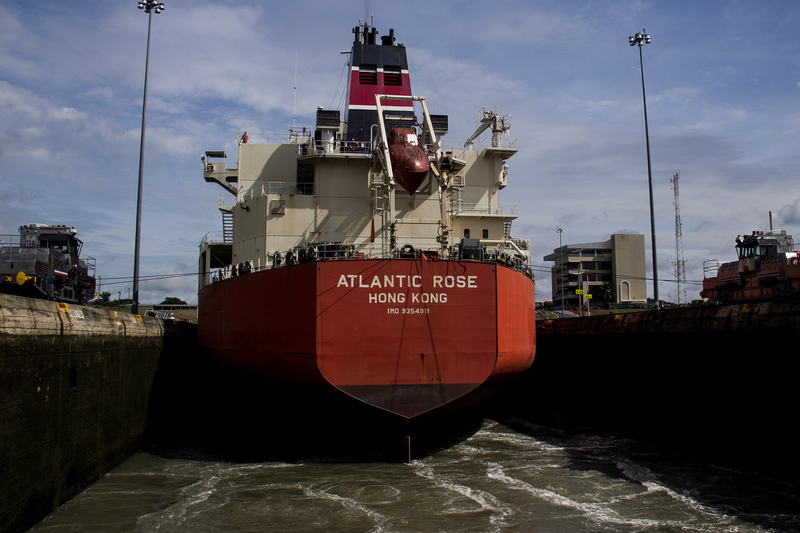 It takes only a matter of minutes to raise and lower a ship once it is inside the lock. Click on any image to see full screen photos. 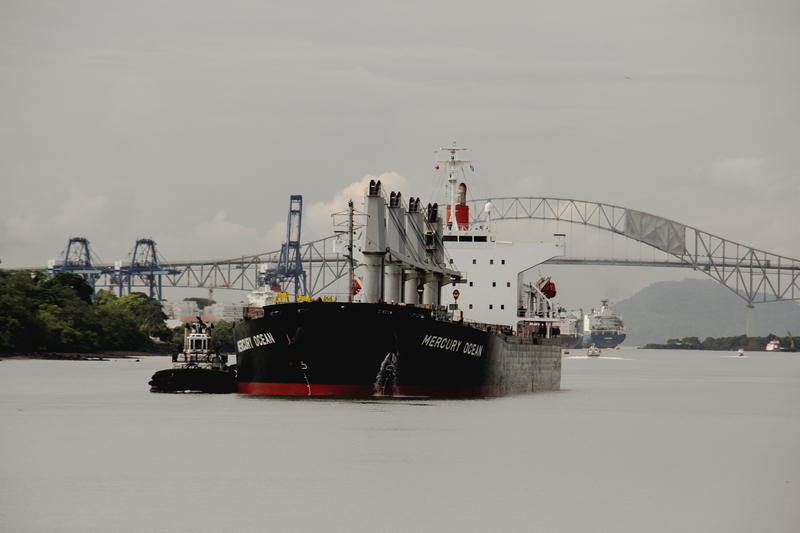 In the photo on the left the Mercury Ocean is behind us waiting to enter the Mira Flores Locks. 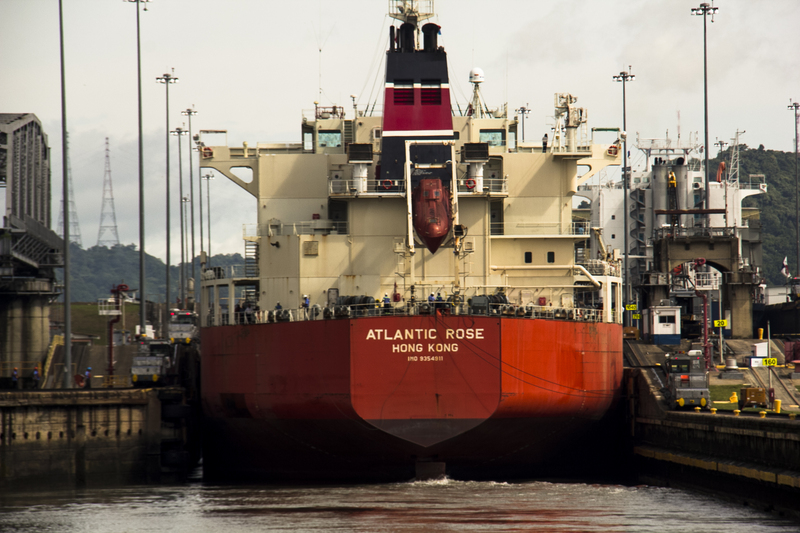 The locks have two lanes of traffic so that northbound and southbound ships can transit at the same time. 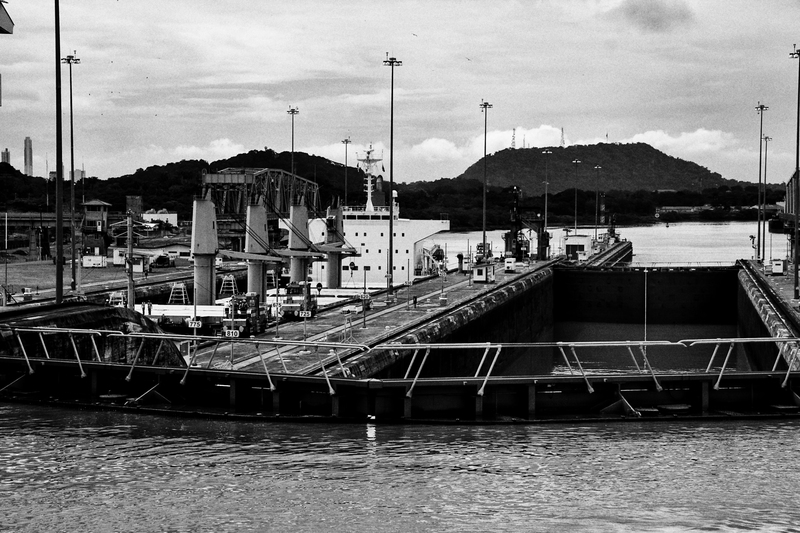 In the photo on the right the Mercury Ocean is in the first stage of the lock in the left hand lane, facing the viewer, waiting to be lifted. 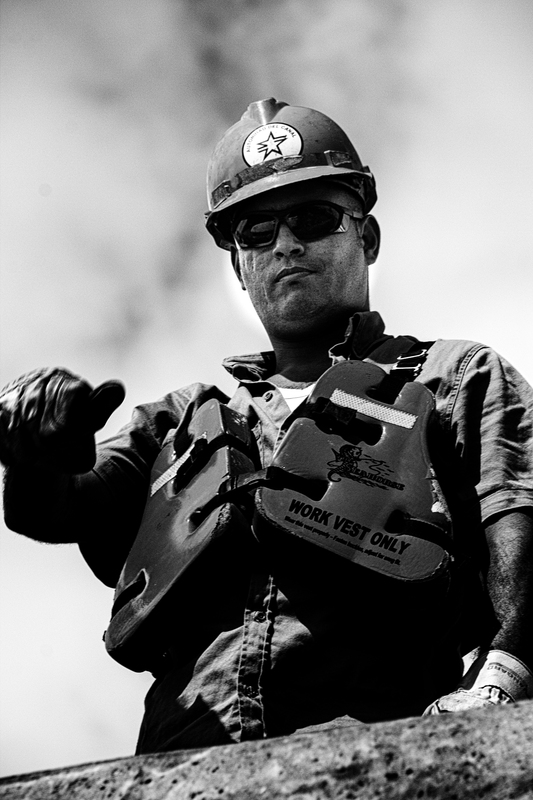 Our boat, a 300 passenger day cruise boat, is in the right hand lane, second stage and has already been raised. Next to the Mercury Ocean you can see the low water in the lock and the lock gates closed. 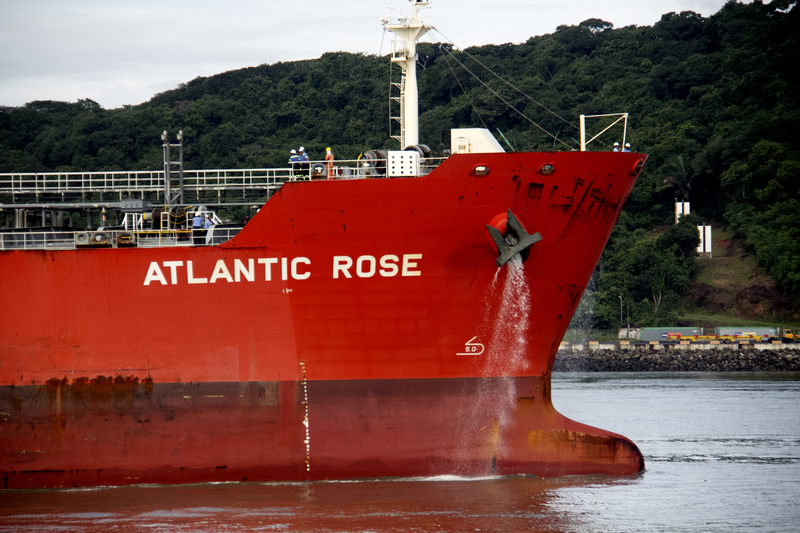 Atlantic Rose going through the Mira Flores Lock. 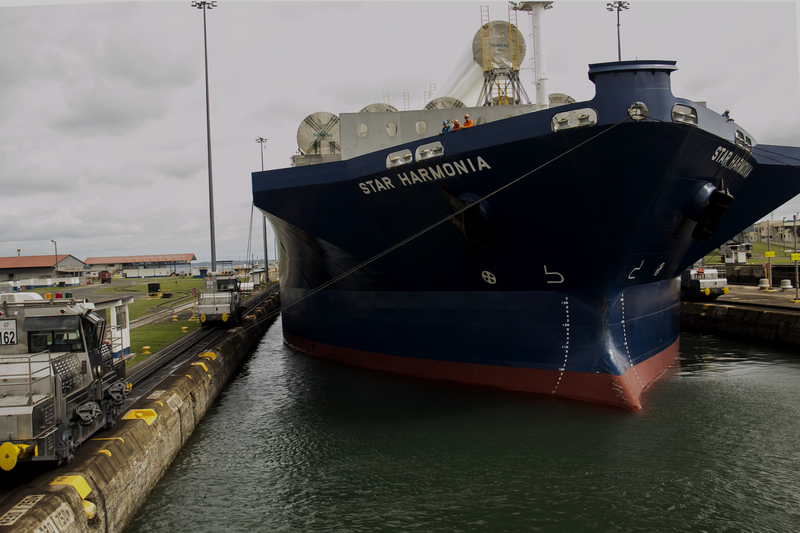 This size ship is called Panamax because they are the largest ships that can fit in the locks. Notice the tight fit in the lock. 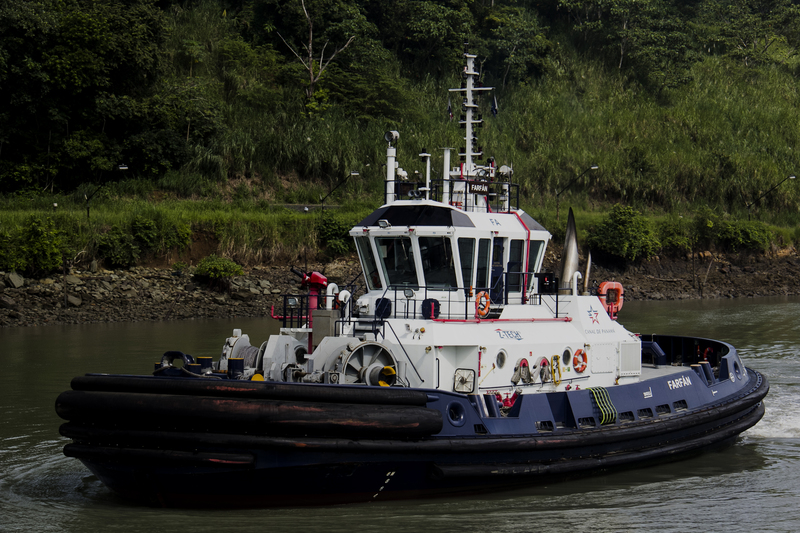 The tugboat helps guide the ships into the lock but once in they go through under their own power and the electric mule is used only to guide them and keep them secure. 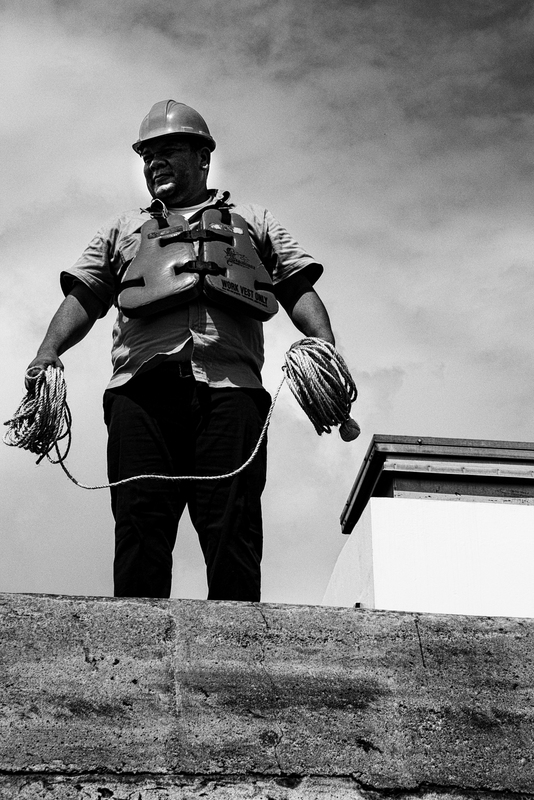 These men worked along the walls of the locks. 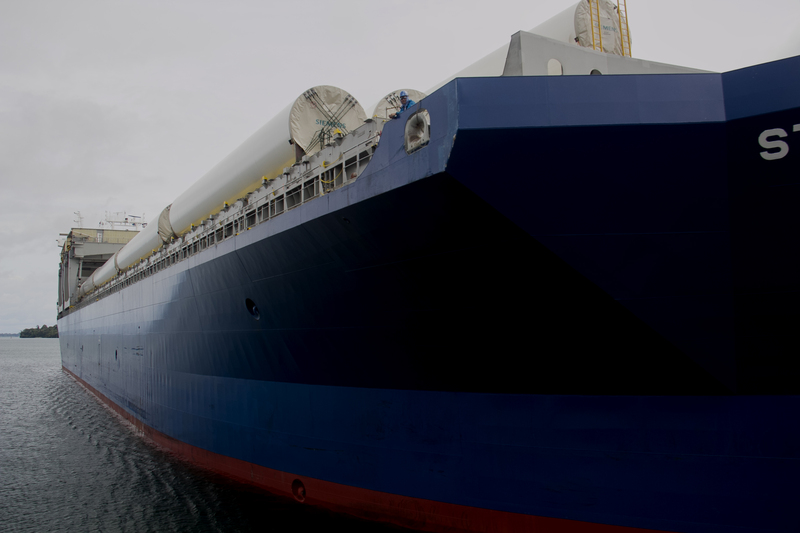 They moored the ship to the walls while the ship was being lifted as the water rose. 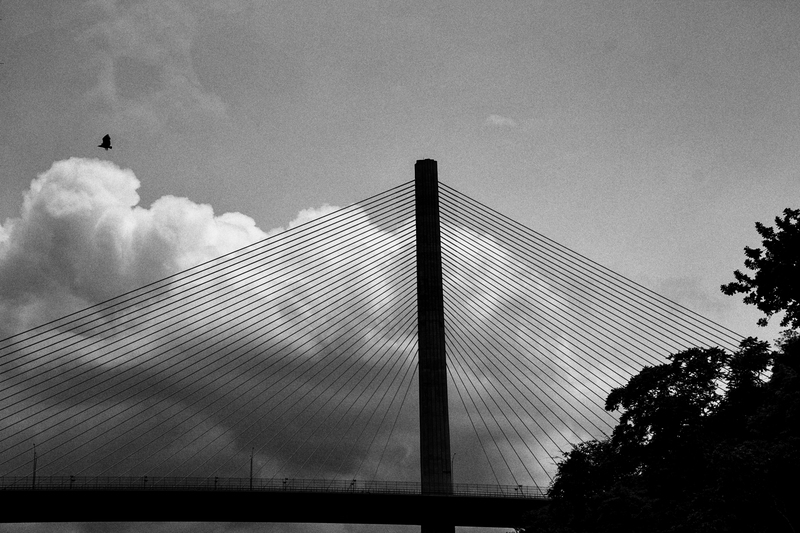 The Centennial Bridge crosses the Canal at the Gaillard Cut before the Canal enters Gatún Lake, an artificial lake created by damming the Rio Chagrés. 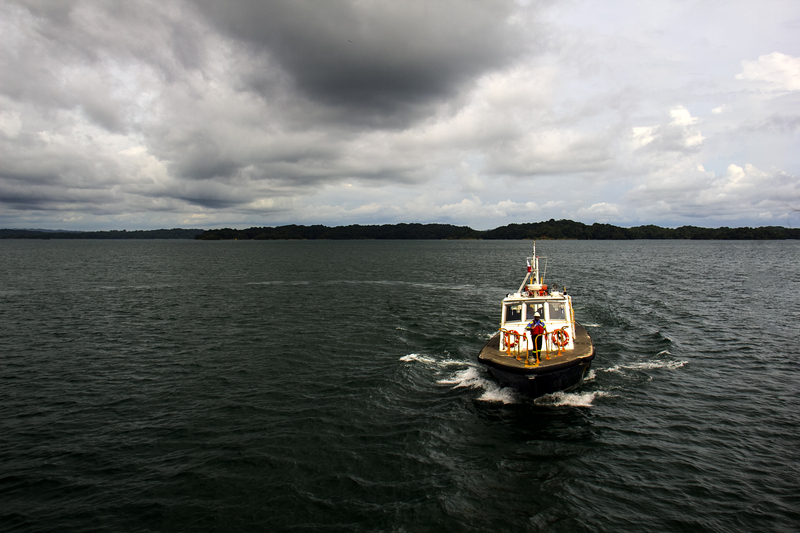 The trip across the lake is the longest part of the transit and the most scenic. 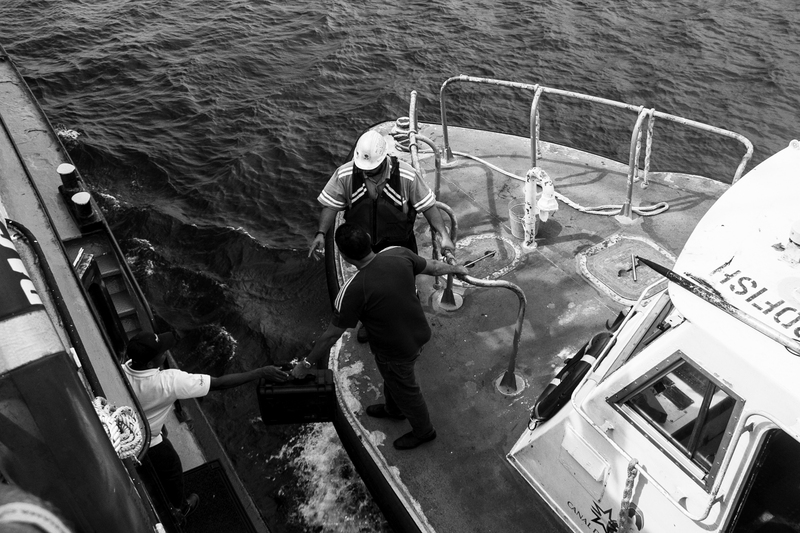 In the picture on the right a pilot boat is approaching to take the Mira Flores pilot off and let the pilot for the Gatún Locks board, which he is doing in the photo below on the left. 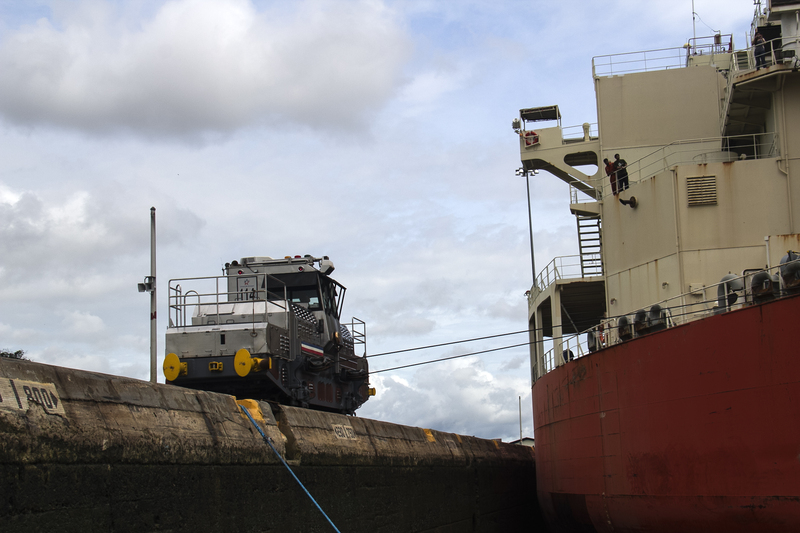 The photo on the right below shows north and southbound traffic passing in Gatún Lock. 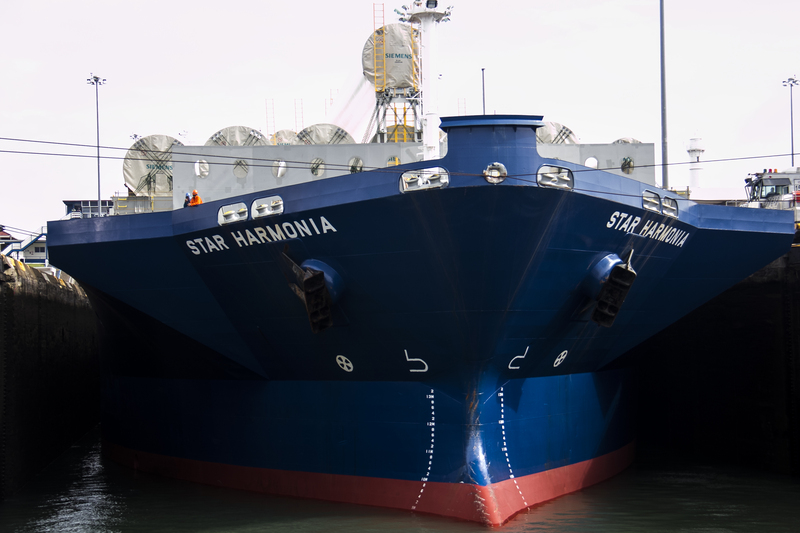 We are in the lock directly ahead of the Star Harmonia. 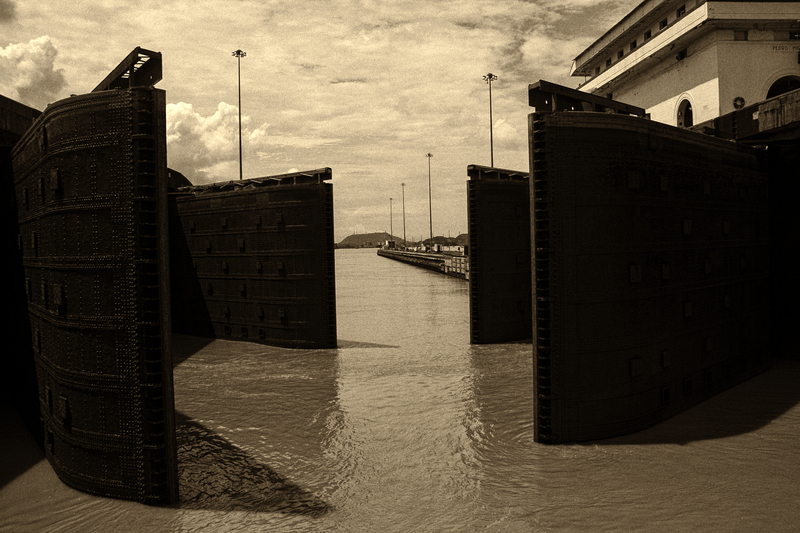 The Gatún Locks return the ships to sea level and they exit the Canal, either going to sea in the Caribbean or to port in Colón. Bocas del Toro is an archipelago off the Caribbean coast of Panamá not too far from Costa Rica. Bocas Town, on Isla Colon, is a funky town, only accessible by boat from Almirante, Panamá or by air from Panamá City or San Jose, Costa Rica. 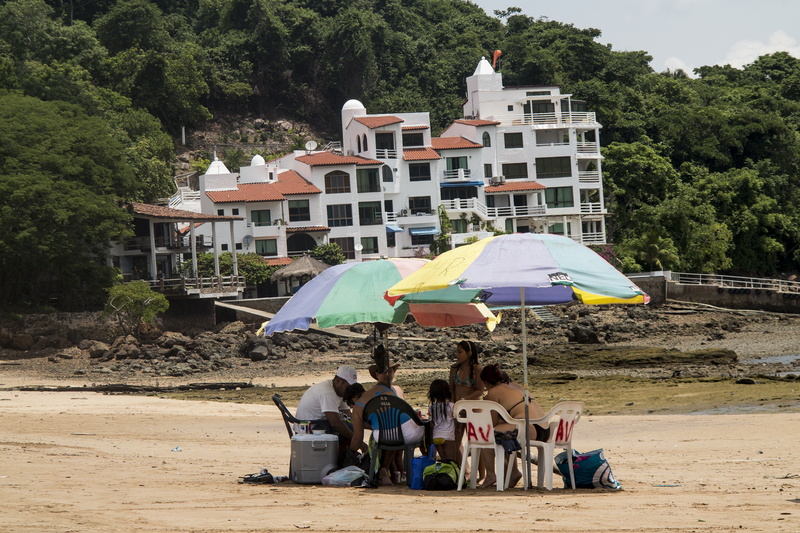 The primary tourist activities are aquatic sports and bar hopping. 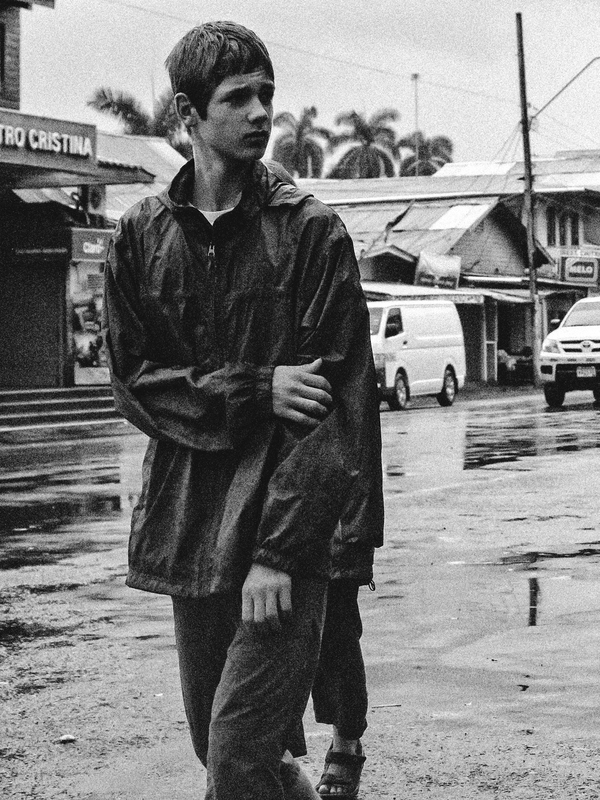 It was raining heavily, as it does most days in July, and I was taking shelter from a downpour in a local watering hole when I got out my camera. For photographers in the group I was using a Canon G-1X with the ISO set at 12800 so I could shoot in ambient light.